Club Penguin Cheats by Mimo777 Club Penguin Cheats by Mimo777: Club Penguin Challenging Stamp Reviewed By You! "The one most challenging for me was definitely catching mullet in Aqua Grabber! I had been trying for forever, even before stamps came out! Always pulled me into walls, then id lose him. But then one day, mullet pulled me in all the right directions, and i caught him! I love that stamp so much (and the coins didnt hurt either!) so i display that stamp on the cover of my book. Waddle on CP!" With the Fair in full swing, Club Penguin wants to know what your favorite Fair game is? Write your review and submit it in a comment here and if your review is chosen, you will get 10,000 coins! Sweet, huh? So, what IS your favorite Fair game? I kinda like feeding puffles! Play NEW Virtual World CHIMPOO! Lol! I agree Lightdeer! Evil little Mullet... Oh wait, not little. I agree, my favourite game is Feed-A-Puffle. 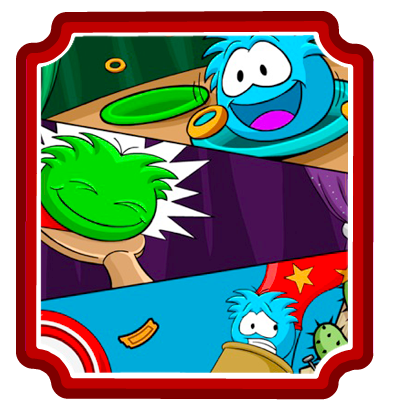 I also like Puffle Padle and I got 800 tickets at once from that game! Hmmm I think I would have to say my favorite Fall Fair game is Puffle Paddle, it gives you a lot of coins! I think that the flip star is the hardest. Every time I try to flip three times, I end up doing two. Catchin' waves has some really hard challenges. Sorry not many comments. Just started middle school and limited to 30 minutes on the comp now! It's CRAZY!